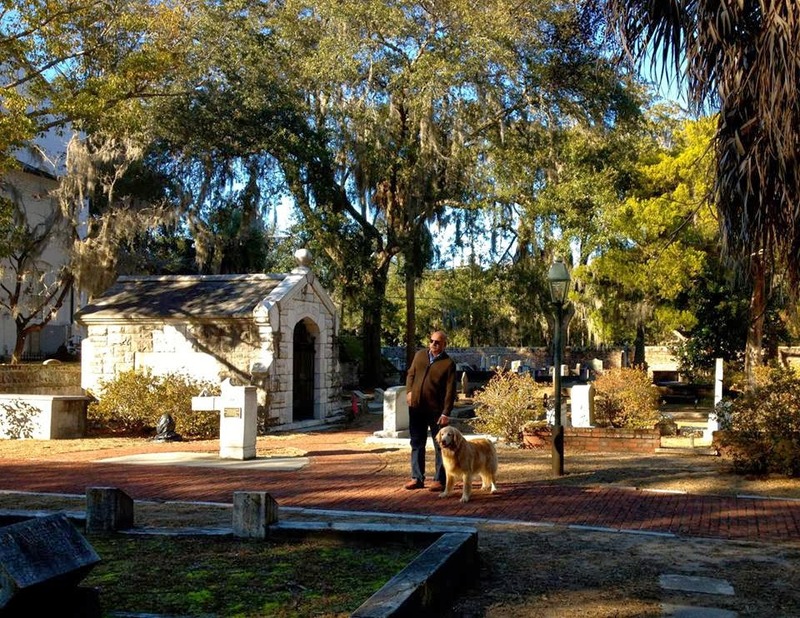 a curious gardener: hello from the Low Country! 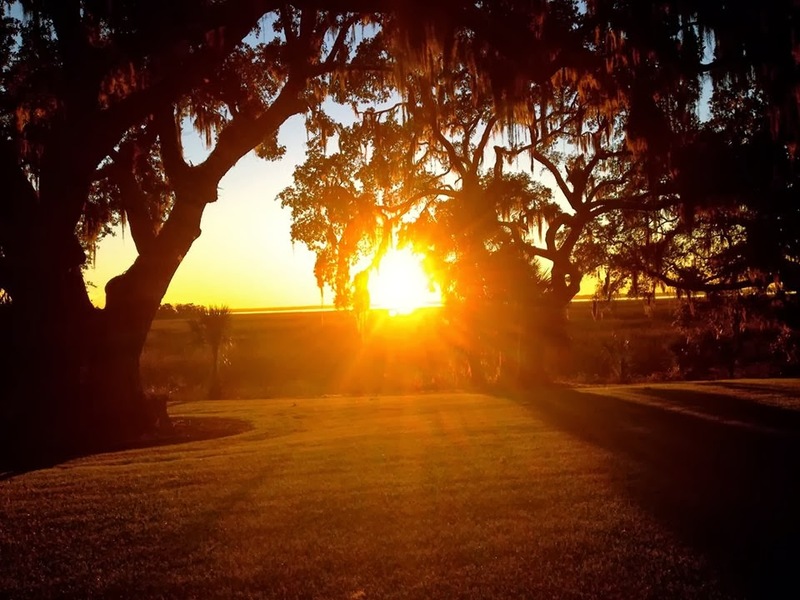 hello from the Low Country! 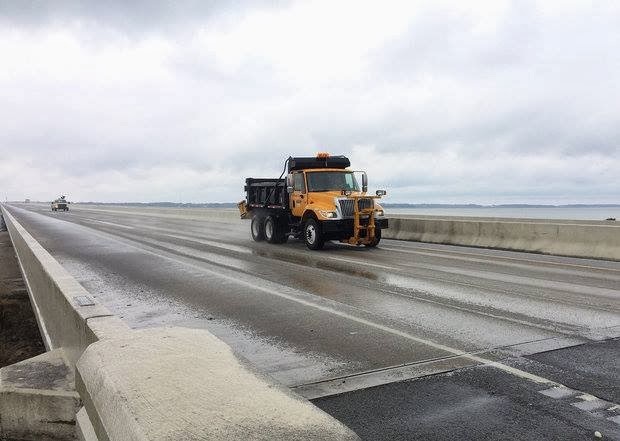 a salt truck crossing the Broad River bridge! No traffic jams in this little town, everyone was cozy and warm at home. It was only cold for a few days. 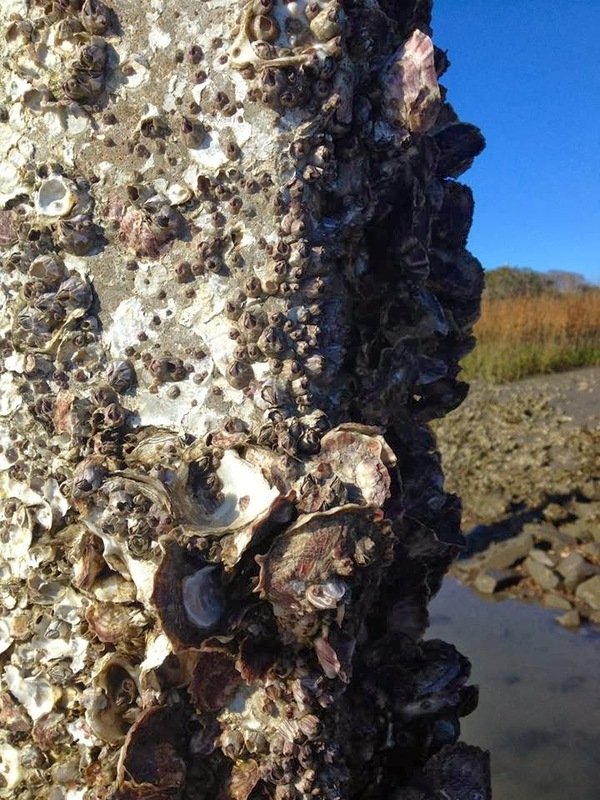 Oysters attached to the dock posts which will be covered with high tide in a few hours. 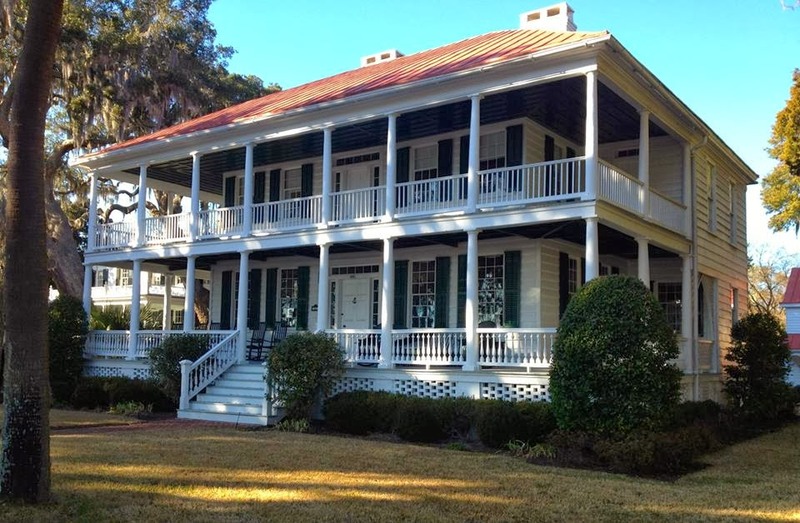 There are many historic homes to check out in Beaufort, so fun to stroll around. 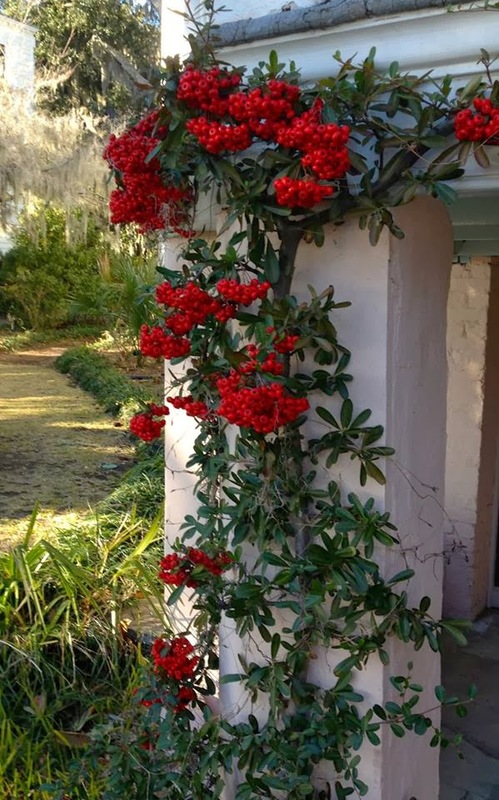 The climber on the lower pink columns is Nandina, it is blooming in most yards around town, the berries are visible from fall through spring. Low tide at the marina and Bay Street, with its grand homes, in the distance. 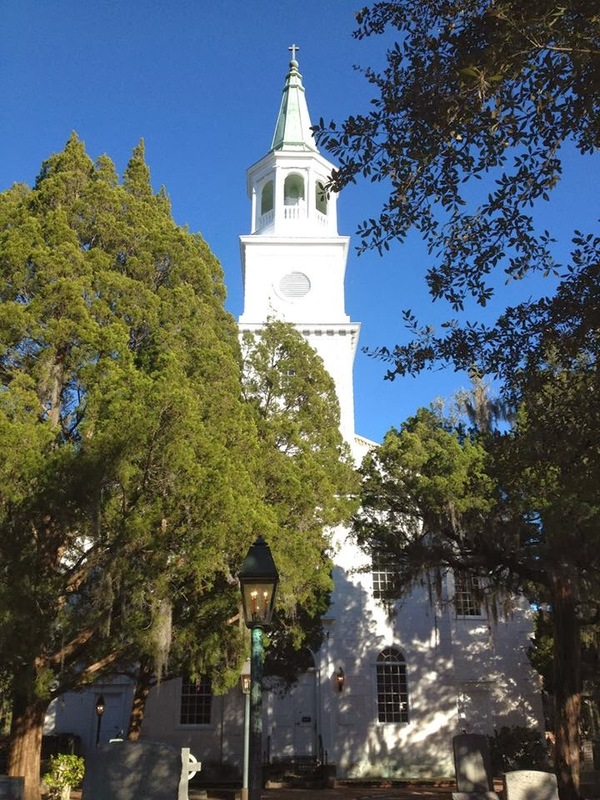 belongs to the beautiful Episcopal Parish Church of St Helena, her bells ring hourly. We ended the afternoon by checking out the sunset at the lot we will build on. We were happy to see this…. We are now working with the architect and builder on the house plans but will try to relax and enjoy the process as getting the family house sold and organized (lots of purging and also dividing belongings into containers for storage or the rental home) was the biggest effort. It feels funny to be in a much smaller home but so much more cozy, efficient and less upkeep. Hi, Cindy - I miss you!!! I know you have been busy, so thanks for this update. Wonderful shots! 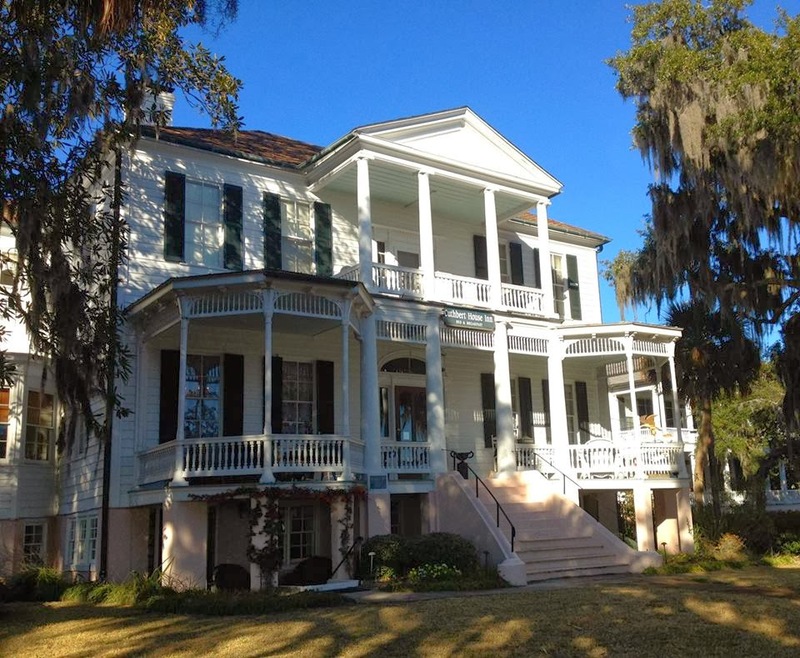 Beaufort looks so beautiful with its gracious homes and stately trees. Please share more when you have time. We just came back from Castine - had to go up for a couple meetings. Oh Cindy: so very glad to see you back! As you probably saw, we were just down your way last week, during the cold spell. A little difficult to take pictures without fingers freezing off. Oh, you must be SO relieved.When do you actually close? How long will it be until the new house will be (sort of) ready to live in? what an exciting time. 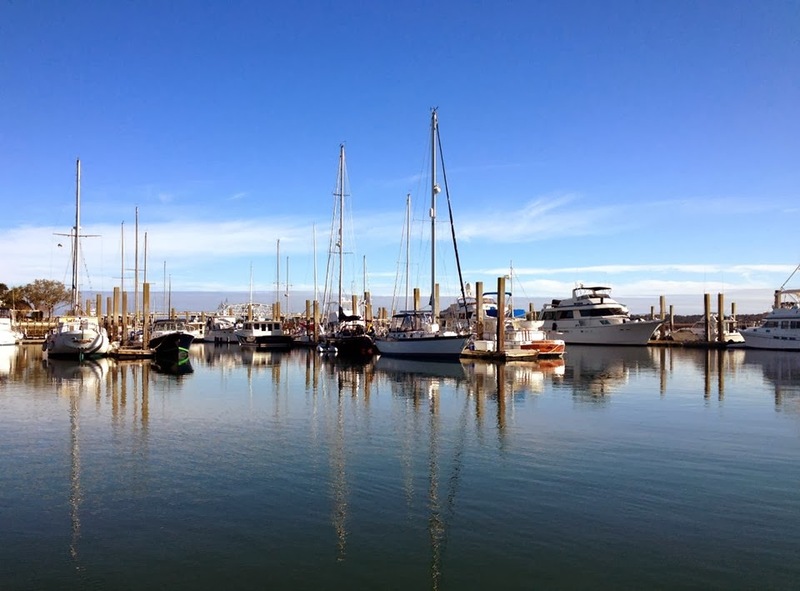 And yes, the warmer weather must be such a relief for you…. Til later! So good to hear from you, Cindy. Ah, the Low Country. One of my favorite places. 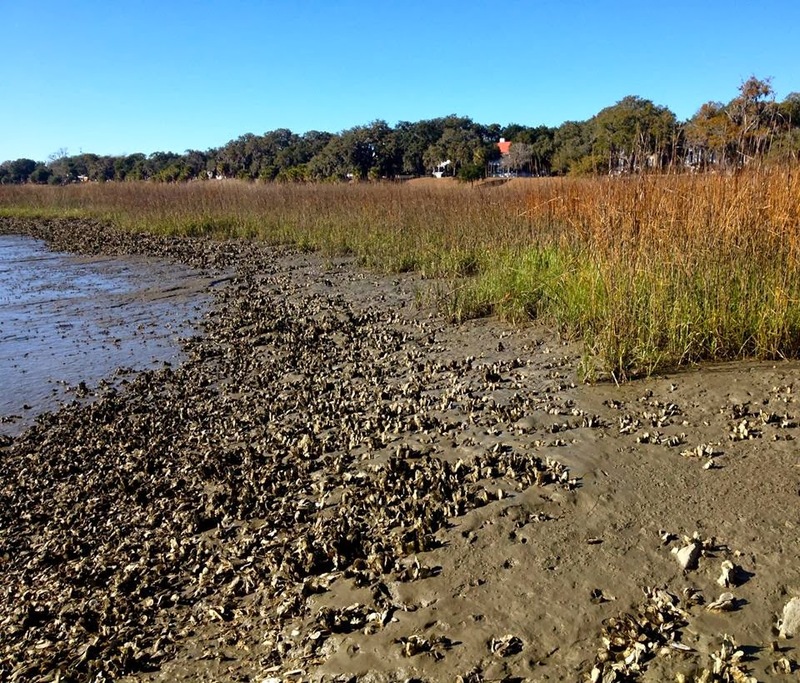 We vacation at Edisto nearly every year, just across the St. Helena Sound. We love that area. What a beautiful sunset, and to think you'll be able to enjoy that view each evening from your home! I'm envious. Keep us posted on the progress of your new home, and have fun with the process! Yay!! So fun to hear about your latest adventure, Cindy! I missed your blog during the holidays, you always shared the best gift ideas! : ) I know you're SO happy to be enjoying the warmer weather! Thanks for including the sweet picture of Andy, too, it looks like you're all going to enjoy your new surroundings! Such lovely pictures and so lovely to see your return Cindy! I am looking forward to following all the updates on the new house! What a picturesque place! It seems as if all of the pics that you shared came from postcards! While it could be sad to leave Chagrin Falls, it seems that you are all pumped up to move, and I can't fault you in that. Selling though could be tricky, which means you could spruce up your old home just in case a prospective buyer visits. Every little bit helps!